My allegiance lies with my university (Texas A&M), but I have acquired a certain fondness for Stanford over the last six years. My husband went to Stanford (along with half his family) and we live just down the street from its amazingly beautiful campus. I'm not quite sure how the students study when it is always 70 degrees and sunny with palm trees blowing in the wind. I had always assumed that Stanford people were either super nerdy or incredibly pretentious. It turns out they are this great mix of smart, adventurous, and chill in a very Northern California way. My brother-in-law graduated from Stanford this year. 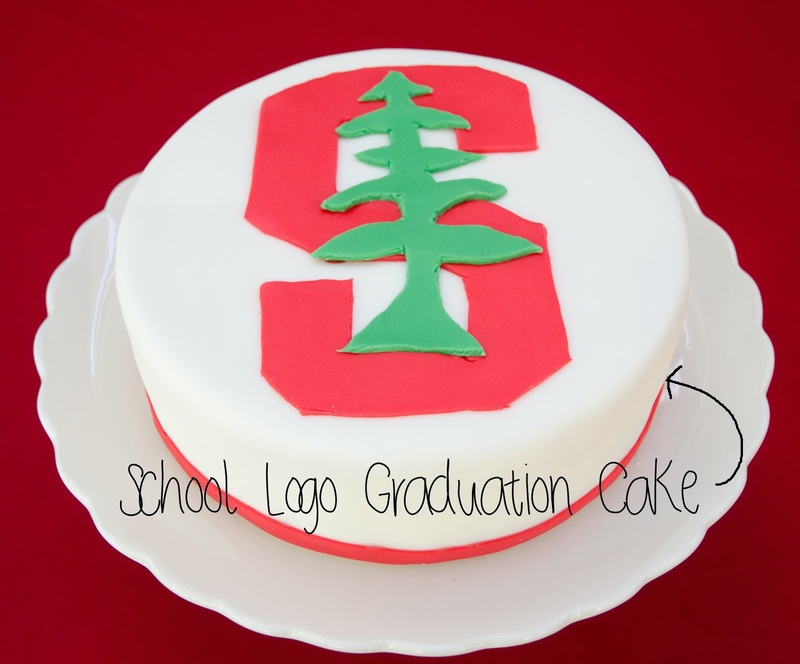 I had just finished my fondant cake decorating class and I got excited to make a Stanford graduation cake for his party. I free-hand cut a simplified Stanford logo out of red and green fondant, trimmed the bottom with a thin red band and called it a day. I can't decide if this cake looks modern or retro. Maybe both?